Well, this might look like the usual grilled corn but it is not. The “jagung putungo” of Gorontalo has its own bragging right and a more wholesome formation than what we find on the street side of Bandung and Jakarta. Late night Gorontalo. The cool breeze from the ocean makes it pleasant for having the last coffee of the day and hanging out with great company. Some do it on the square in the town center, either by watching an amateur basketball game or simply just by hanging around your favorite street food pushcart. The rest, including me, decided to head closer the the beach. 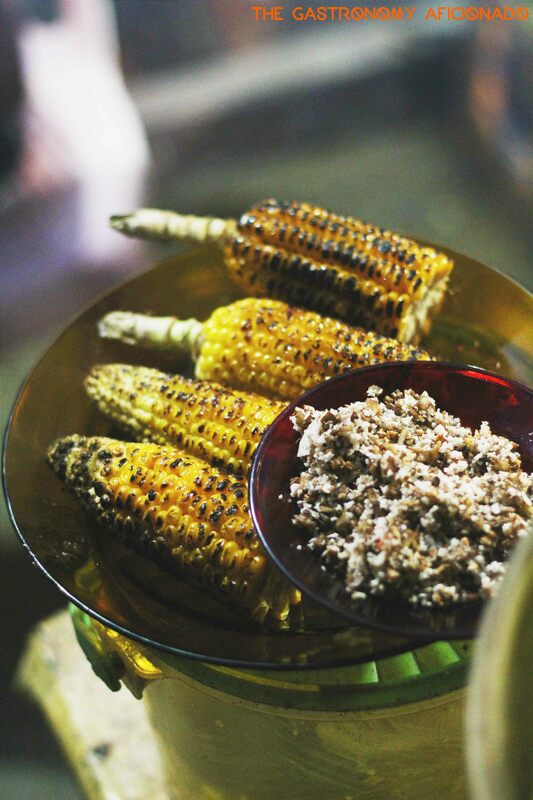 The idea of having grilled corn that night was more intriguing, especially after we had found out that Gorontalo has its special formula with this night time delicacy. Although the ocean was pitch black, the most pleasant part I had was to experience the breeze and also having to choose among a myriad of grilled corn shack around here. However, most of them were serving the same thing but of course, none of what we can see similarly in other places. 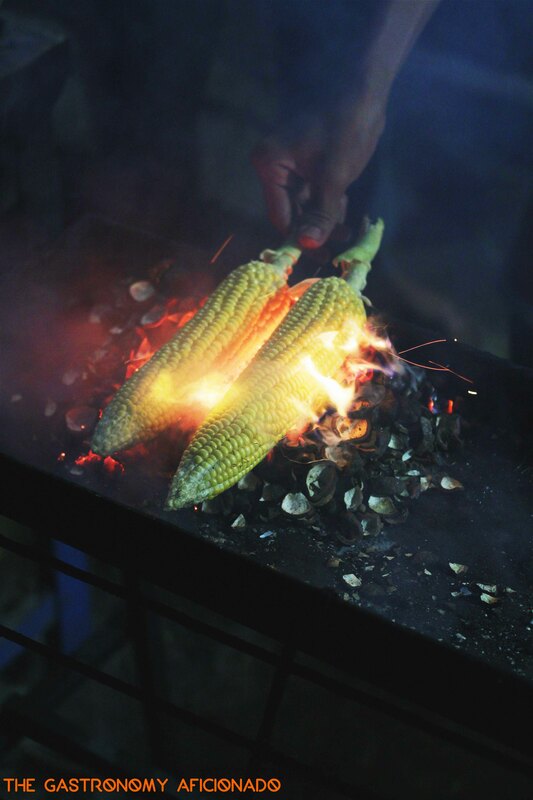 Gorotaloans grill their corn directly using embers from candlenut shells. 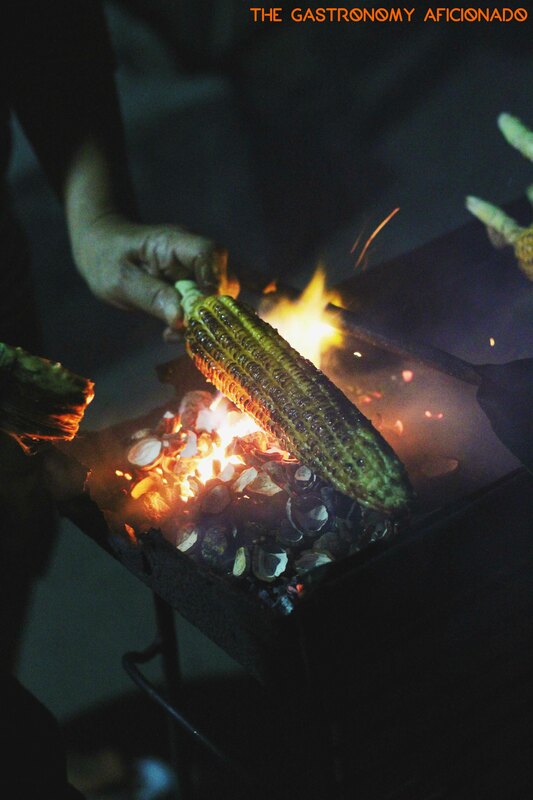 It is believed that this will bring a different character for the corn post-grilling. Other than that, the marinade sauce has also a mixture between savory and spicy flavors with a subtle hint of sweetness. Once done, there’s also a dipping condiment made of banana blossom and shredded coconut. How interesting! This one actually reminds me of urab. Sometimes they are also using the native jagung pulut or the white corn. I found mine was a bit too young and has small kernels but it was all right. I enjoyed my late night snack which was already unique in its own way and apparently, has all what it needs to become probably the next big thing to be introduced here in Java. Well, who knows? Now, I am already thinking about opening my own grilled corn shack! Jagung putungo shacks can be found by the seaside of the city of Gorontalo, nearby the TPI (fish auction center).